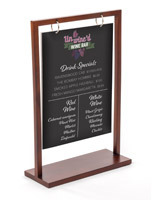 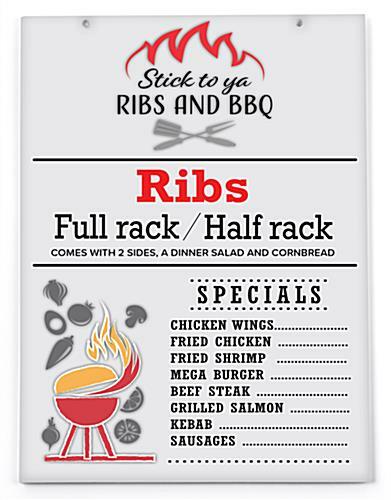 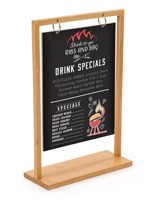 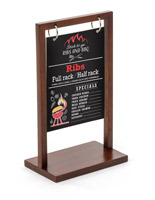 This 8.5” x 11” wooden menu style tabletop sign comes complete with double-sided custom graphics to help enhance the signage at any restaurant, bar, or retail store. 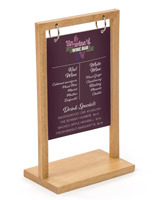 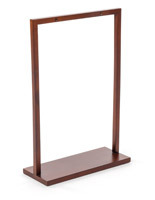 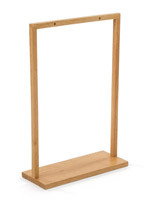 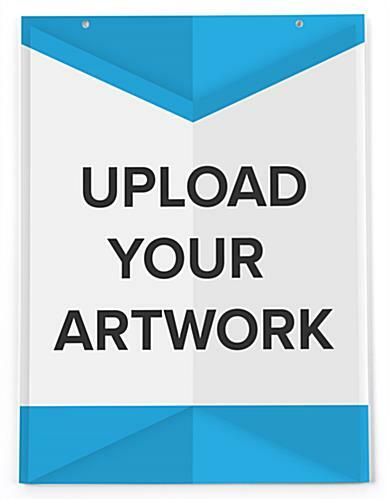 Durable foam board is pre-drilled with 2 holes for ease of hanging from a two-post frame (sold separately). 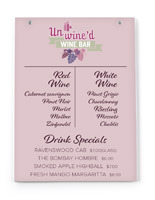 The tabletop sign also features full-color, high-quality UV printing for displaying menu items or upcoming events.